If you answered a question and made a plugin out of your code, than this is your place to share it. The Idea: An old comment from @MikeSchinkel during the beta phase where he wrote something like "I wonder how many plugins will come out of WA". Write a short - one line - description of what the plugin is intended to do. Tell how it's meant to be used: Template Tag, Shortcode, Widget, Plug & Play. Link to your plugins in an answer, on github/bitbucket/whatever or in the wp.org repo. Please link one plugin per answer. If you got some answers that would serve well as plugin, just modify your A and link it here. If your plugin became a commercial plugin later, it's ok to post the link here. If your plugin is not cc- plus GNU GPL 2-licensed, please mention the license. I added a tag named wpse-plugin to this answer. Please edit the Q (where your Answer ended up as a plugin) and add the tag, or ask a moderator to do so. I'll upvote any Answer/Plugin added here. Please also join the discussion about this on meta. As to a lot of discussion about copyright & open source licenses1), i want to mention that these plugins run under the cc-license plus the GNU GPL 2-license, if the author didn't mention else. adds a new tinymce for simple insertion, read here for customizing and advanced features. 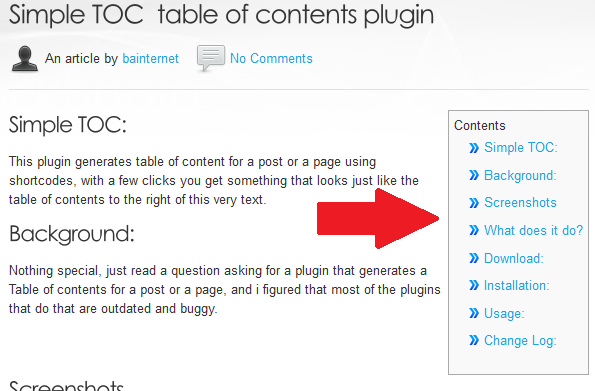 Looking for a Table of Contents (TOC) plugin for WordPress? Adds a meta box to the post edit screen, that lists and links all posts inside your blog that link to the currently displayed post. How do I display a user specific content? 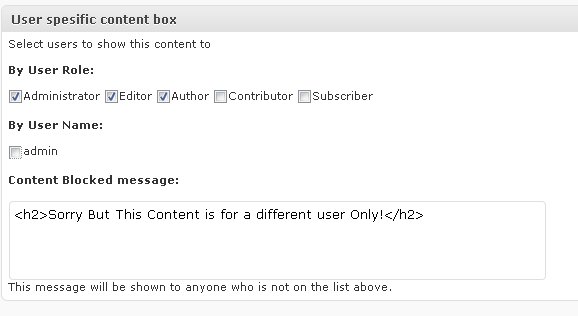 Lists all cron jobs in a table in your wp_footer(). 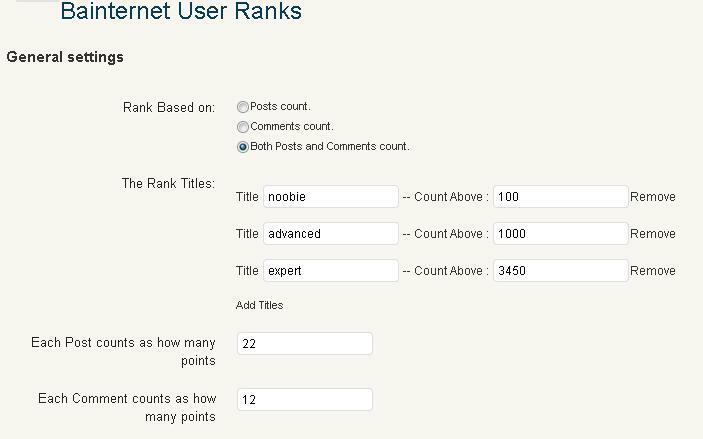 Create and display user rank titles based on there post count, comment count or both. This is aimed at multi Author,User blogs which you can create rank levels in your blog based on author post count, comment count or both. Its ranking system similar to a forum. Analytics plugins that allow for inclusion of _trackPageLoadTime()? Displaying the most recent twitter status updates for a particular hash tag in your posts/pages using shortcode. Description: Alows to bulk add terms across network. You can select what sites will be affected. 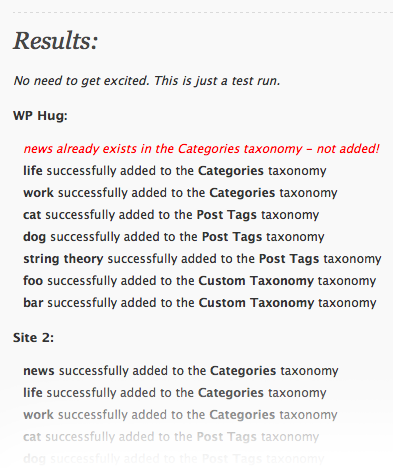 Works with custom taxonomies. Works from any site in the network. version 0.0.1 = Use with care. Any feedback is much appreciated! 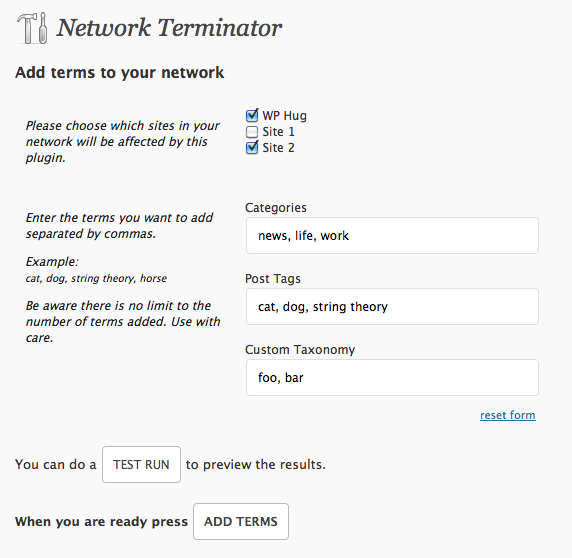 Related Question / Inspired by: Wordpress: Can I add categories/tags to all sites in my network at once? 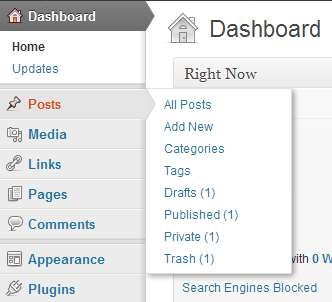 Plug and play for Posts menu. Settings for the rest. Allows using different templates (and related stylesheets) for different devices (Read the comments inside the code). Note: Device detection not included. If you have tried it in combination with Modernizr, please leave a comment. Experimental function for more powerful and shorthand dealing with hooks. Provides functions to use in other code. 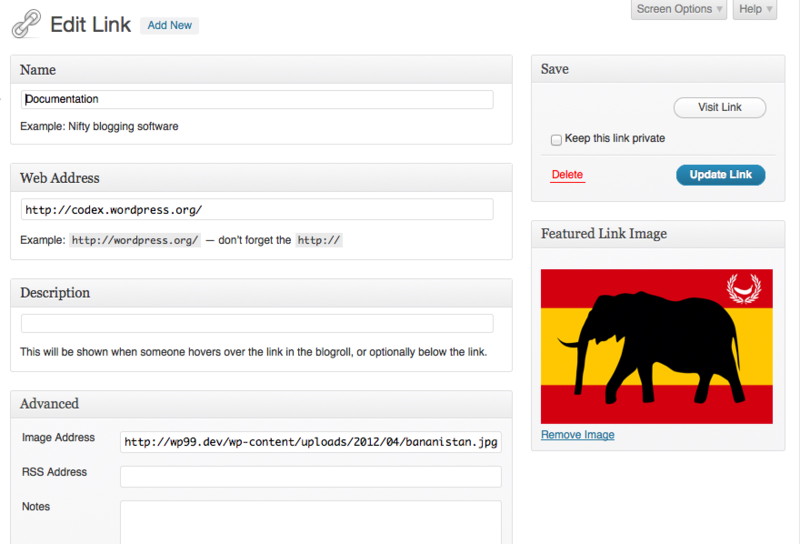 Add a meta box in the Links add/edit page for easy uploading/inserting images in the Image Address field. Extracts a list of deprecated functions from core and scans the themes/plugins directories for instances of said functions. The output includes file name and line number as well as the recommended function to use in its place. An admin can add other paths to be scanned as well as include other functions for which to search. 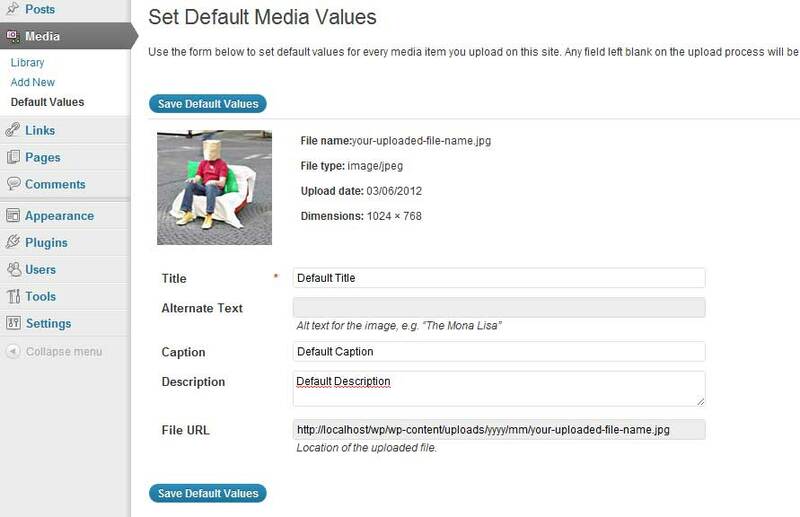 Adds a simple media options page where you can set defaults for Attachment Title, Caption and Description. Works only for images at this point, but i'm planning to extend to any attachments. Delays the possibility to publish a post by removing the publish meta box if the user registration date was XY days ago - you'll have to set this in the plugin code. Drop & Go. No configuration needed aside from altering the 7-day time span if you need another time. How-to delay the capability to publish posts? Not the answer you're looking for? Browse other questions tagged plugins plugin-development plugin-recommendation wpse-plugin or ask your own question. How does WordPress handle permalinks? Licensing: Can I include SWFs without source in a plugin released on wordpress.org? Do uploaded plugins get updates if they came from the wordpress plugin directory?